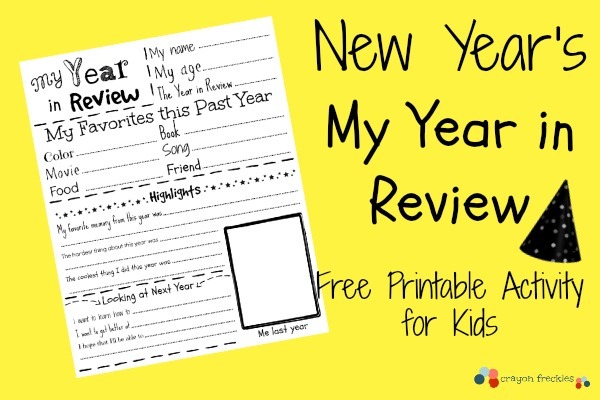 The New Year is fast approaching, making it the perfect time to do a year in review for kids! 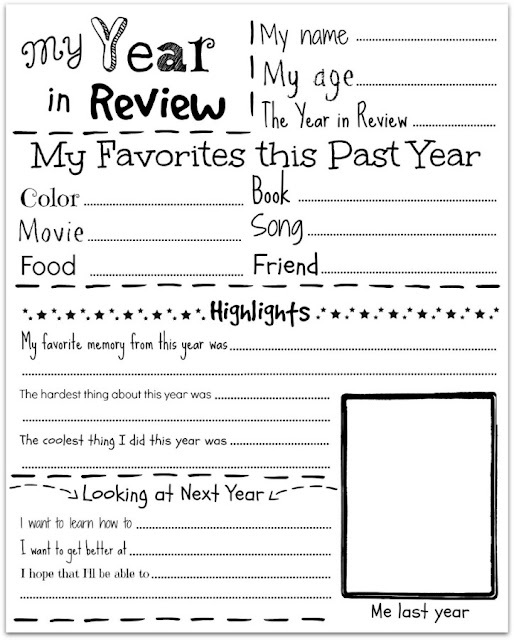 Use this free printable to create a memory that can be repeated year after year to document changes in each child’s interests. This is an activity that can be done with kids of any ages. It’s amazing how much children can change from year to year, so documenting each year provides a wonderful snapshot of how their little minds work through their growth. To prepare for this activity, print off the free printable sheet. Provide children with crayons, markers, and pencils to use to color and fill out the sheet. A recent picture, trimmed down to fit the frame on the printable, may also be desired. This activity can be done with a child of any age. For children that can write, it’s a beautiful way to document their handwriting as it changes over the years. But, even if they can’t write, they can narrate while an adult writes down their response. Children can opt to draw a self-portrait in the photo box or a recent picture can be attached with a glue stick. Once the printable is filled out, there are multiple things you can do with it. You can file it away with the child’s school and artwork from the previous year. Or slip it into a clear protective sleeve in a portfolio folder and keep adding each year that is completed to make a book. In addition to this activity, you can also create time capsule ornaments using empty plastic ornaments from the craft store that contain items relevant to the child’s interests that year. Find out how to make them here. 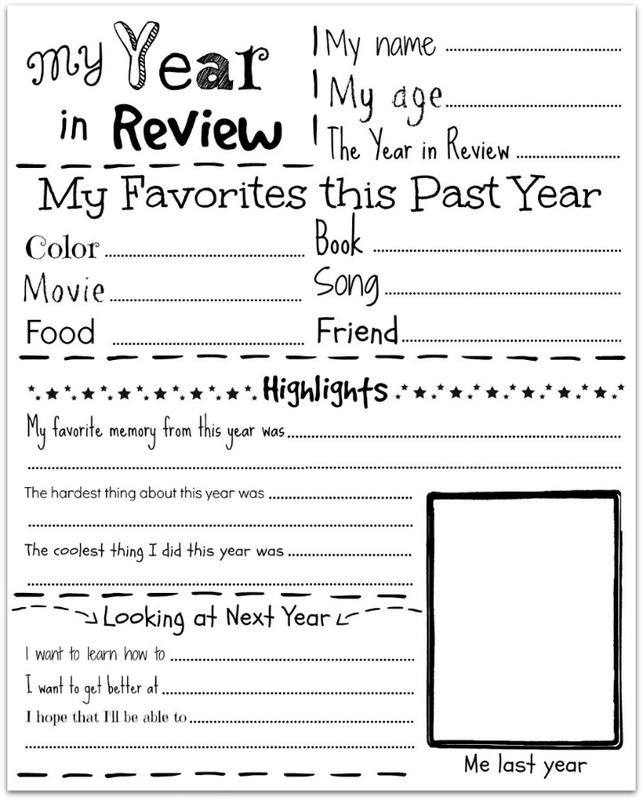 This free printable can be used year after year to create a paper time capsule of a child’s life. It makes for a very special keepsake to look back at over the years.